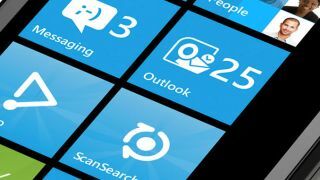 Microsoft's Windows Phone 8 platform has snagged itself FIPS 140-2 accreditation from the US government, meaning it can now be used by employees in industries that require the watertight security standard. FIPS 140-2 is awarded to accredit the cryptographic algorithms that protect sensitive data inside products like smartphones or tablets. In a company blog post, Microsoft writes that the accreditation was awarded by the Cryptographic Module Validation program, a joint effort of the US National Institute of Standard and Technology (NIST) and the Communications Security Establishment Canada, the country's national cryptographic agency. Of course, it's not the first mobile OS to achieve the standard - iOS 6 managed the same feat back in May, and both BlackBerry 7 and 10 have held it for some time. The levels of software fragmentation mean that certification of Android devices is something of a mixed bag. Now we need to ask: What's the best Windows Phone 8 handset?